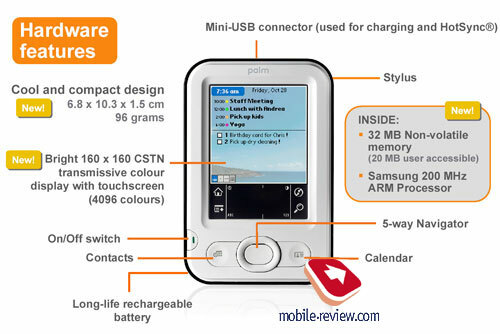 Officially, new Palm models are to be announced on the 12 of October 2005. 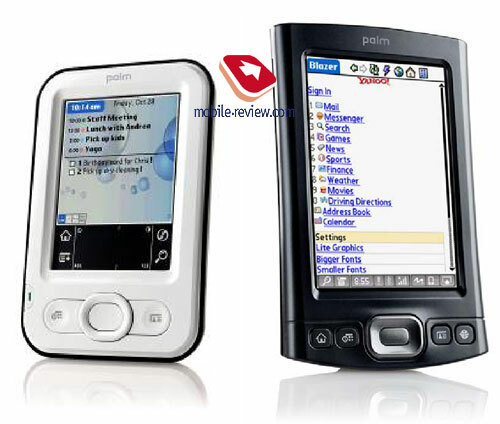 Following its tradition the company of Palm tries to launch new models in the beginning of October. 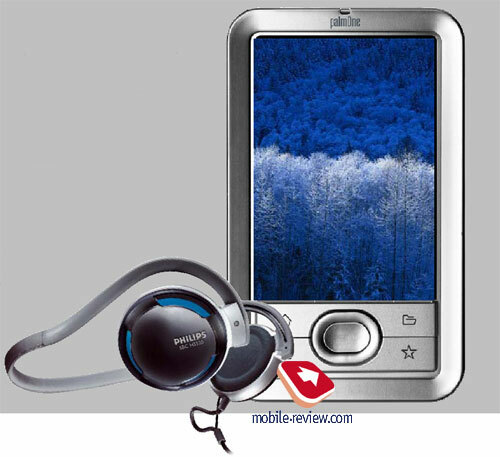 So, Palm Tungsten T was officially launched on the 1 of October 2002, and exactly in a year - Tungsten T3 and Tungsten E. On the fourth of October 2004 Palm Tungsten T5 officially came to the world. For the last time the press has been making too much fuss around Palm and everything concerning the company. 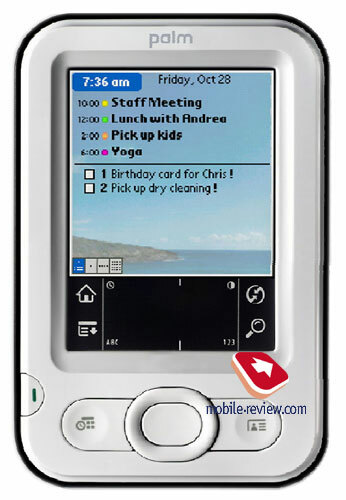 First, they were exaggerating rumors about Palm Treo based on Windows Mobile for quite long. Then the rumors were confirmed by high rank company representatives and after that by photos and video appeared in the net (for instance, engadget.com). Then Palm Source sells their rights for the Palm brand for 30 million dollars, and palmOne becomes Palm again gaining a new logo design. Much fuss was raised regarding this contract. 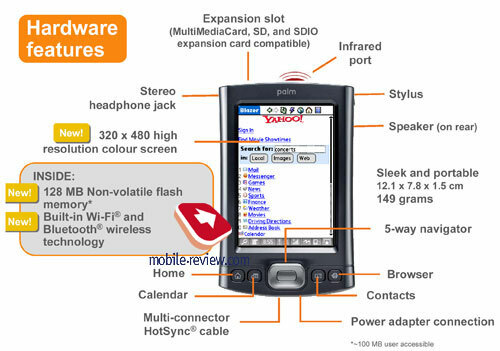 Completely weakening, Palm Source cancels Palm OS 6, in which it had put so much time and power, and secretly comes up for sale. Negotiations with Palm start, but in the end Palm Source and the right for Palm OS were bought by a Japanese company Access (they say, Access offered double price for each stock). So, it seems Palm OS is not yet finished with, and its new Linux version will demonstrate something, and will surely play its role on the Japanese market. The company understands that switching the Treo line to Windows Mobile is very important for corporate users. Also, it's obvious that the army of Palm OS worshipers will still mean, and switching all the models to another operating system at once is impossible. And the new models which will be introduced in October are run by exactly Palm OS. Almost everything that will be officially told in 20 days is now available at Mobile-review.com. So, the one model is low-end and the second is a high segment representative. Now let me introduce Palm Z22 and Palm TX. Almost everything that will be officially told in 20 days is now available at Mobile-review.com. So, the one model is low-end and the second is a high segment representative. Now let me introduce Palm Z22 and Palm TX. I'd like to note, Palm will gradually (gradually!) refuse subbrands like Zire and Tungsten, and use one letter abbreviations - Z and T correspondingly. 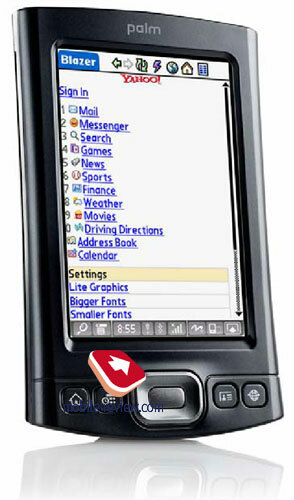 The Palm brand is the most widely known in the PDA world, and refusing subbrands seems quite logical. On the package boxes we will see large Z22 and TX correspondingly. For the moment the company conditionally divides its products into three categories, which are handhelds, Palm LiveDrive models and following (mobile manager), and smartphones. Before passing to the new models let's tell about a Christmas action that will be held from the middle of November till the middle of January. Palm LifeDrive will be provided with closed Philips earphones, programs like Pocket DVD Studio Lite and MM Player besides a standard package. The action will be called SHOWTIME, and a corresponding PR action and a wrapping will accompany it. The model will be equal to Palm TX in price. 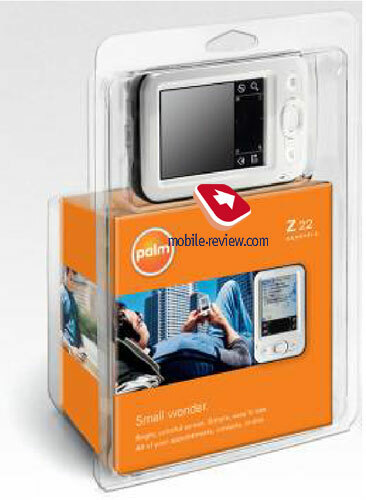 The Z22 is the first PDA with a colour screen and the price about 100 USD. First, it will cost approximately 130 USD, and later the price will fall to the level of 99. No rivals compete with the price, and the company counts on the model will become a present in the majority of cases (more than 50% of sales). Mainly the device is targeted at middle-aged women (a young mother which holds not only a list of products but of birthdates of her offspring's friends as well). Even since the time of the first Zire the company of Palm considers a plain paper organizer to be the main rival. However, in Russia they do not compete - the paper organizer costs times less. The cSTN screen is equal to the one in the Zire 31 showing 4096 colours. The memory size grew to 20 MB available to a user, even at complete discharge of the battery your data won't be lost (NVFS, like in all the latest Palm models). You will find the processor Samsung 200 MHz more than enough for normal functioning of the device. The operating system is Palm OS Garnet 5.4. The miniUSB connector is used for charging and synchronizing. The shipment kit is traditionally modest - a cable, a charger, a film for the screen. Due to the price neither MP3 nor memory card are supported. I think that is all regarding Palm Z22. And my opinion is that is the hit of the Christmas sales (a touch screen, pleasant design, minimal price and a famous trade mark). 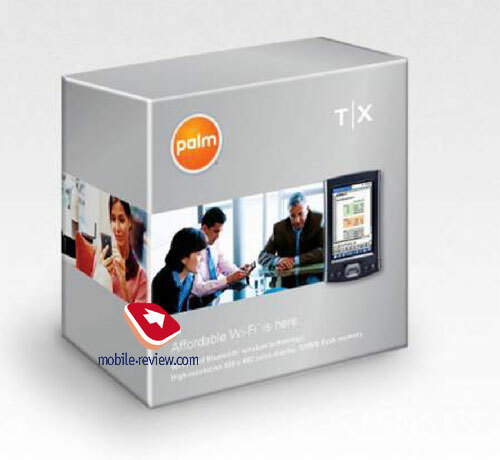 The following model is Palm TX (Tungsten X). To tell the truth, that is mainly Tungsten T5 in the dark blue body and with Wi-Fi module added. And here we could finish discussing the model, but there are some peculiarities. According to the rumors exaggerated in the Internet, the model was to have an integrated camera, which is really not right. The regular CPU clock rate is reduced to 312 MHz. Really no use of 416 MHz on Intel XScale was observed (excluding only watching video), and reduced clock rate will influence positively the battery life. About 100 MB are available to a user of 128 MB NVFS. The size remained the same 121x78x15, and the weight forms 149 g. The main and most important change is Wi-Fi module. The company counts the model will be bought by people having an access to Wi-Fi at home or work. And many users will pass from the previous models due to the Wi-Fi appearance. They are mainly male business users. The presence of an integrated player Pocket Tunes should be mentioned of the software changes. A protective cover for the screen is included into the kit, as well as a USB cable for synchronization, a charger, a disk with software and a protective film. The preliminary price forms 450 USD and in short time will fall to 400 USD.